The lead crystal footed presentation comport has a tiered circular base and diamond cut detail. 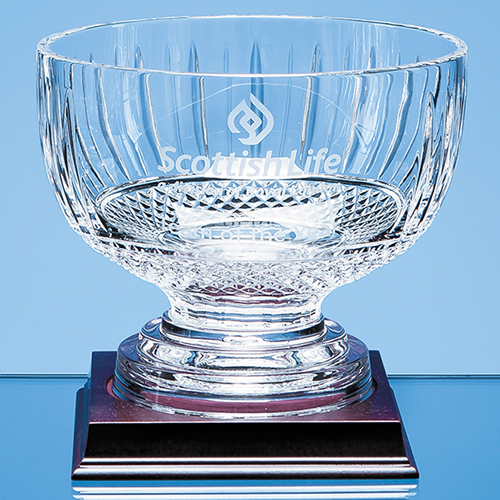 Create a personalised gift or trophy by adding any logo, crest or wording to the large engraving area. This comport is also available in 18cm and 23.5cm.